Mouth guards go way beyond the “boil and bite” versions you probably remember if you played sports growing up. 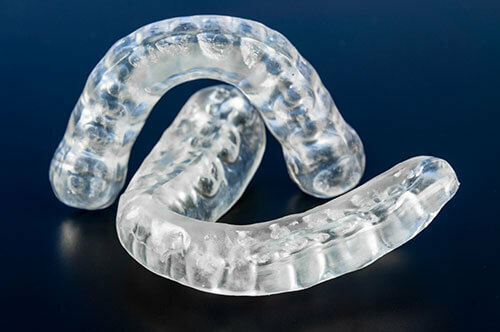 Custom mouth guards that are worn at night, aptly known as night guards, can actually be really helpful in protecting your teeth and jaw from the effects of teeth grinding and clenching. Since we sleep nearly 30% of our lives, it’s good to know we have some backup when we’re getting our beauty rest. Teeth grinding, technically called bruxism, is both a habit and subconscious action that can have an extremely adverse effect on your oral health. It erodes the enamel, which makes you susceptible to tooth decay and wear, strains the jaw muscles, can cause teeth to chip or crack, may damage restorations and, in extreme cases, leaves you with headaches or migraines. If you suffer from bruxism, MDCS has solutions. 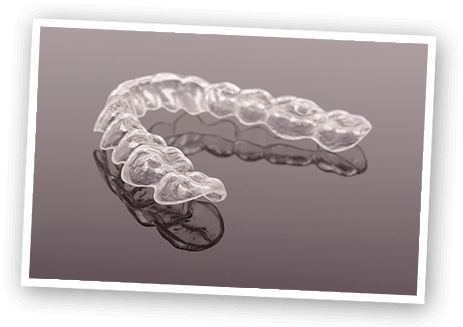 Dr. Gutierrez or Dr. Devoti will diagnose the problem, help you decide which night guard option will work best for you and custom fit it to your mouth for maximum comfort and effectiveness. When you sleep, your night guard will act as a buffer zone between your upper and lower teeth to minimize the effects of grinding and clenching. Our night guards are durable, easy to care for and won’t interfere with your speech or breathing. Sleep bruxism can start as early as the age of one. About 8% of adults in the United States suffer from sleep bruxism. 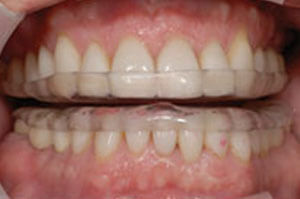 The rate of bruxism is as high as 50% among those with a family history of it. Wake up feeling refreshed again! 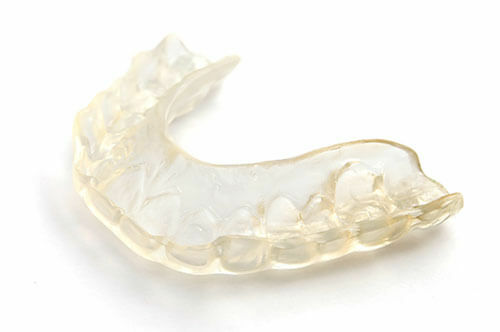 Find out if a custom night guard will work for you.